Ousted Oleksiy Zarudnyi blamed for pension payment delay in July. 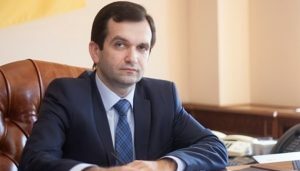 The head of Ukraine’s pension fund, Oleksiy Zarudnyi, has been dismissed by the country’s cabinet of ministers and has been replaced by Yevhen Kapinus, a former state secretary of the country’s finance ministry. Upon the appointment, Ukrainian Prime Minister Volodymyr Groysman told Kapinus to conduct an audit of the pension fund, and ensure the stable functioning of the pension system, according to a Ukrainian government website. Groysman said the two most important tasks for Kapinus are for the pension fund to be ready to increase pensions to military retirees beginning Jan. 1, and to conduct a large-scale revaluation of pensions to all other categories of pensioners. In July, Groysman blamed Zarudnyi, though not by name, for a delay in pension payments earlier this year that was due to a cash deficiency. He said it was the “personal responsibility” of the pension fund’s leadership to fulfill obligations to pensioners in time. He also launched an investigation into the matter. According to a 2017 report from the International Monetary Fund, Ukraine’s pension system is in pretty bad shape. The report said that like many countries, Ukraine has a shrinking labor force and an aging population, which places a lot of financial stress on a pension system. However, it said, “Ukraine is one of the last countries in Europe to face up to these challenges and reform its pension system,” adding that the basic structure of the pension system has not changed much since Soviet times. The IMF said that on average, Ukrainians retire much earlier than workers in other countries in the region, with the average age of retirement 58 ½ years for men, and just under 56 years for women. This is compared to an EU average of 63.6 years for men and 62.6 years for women. As a result, Ukraine has more than 12 million pensioners, which is close to 30% of its total population. The IMF report also said that the ratio of contributors to retirees is almost 1 to 1, which is among the lowest ratios in the world.